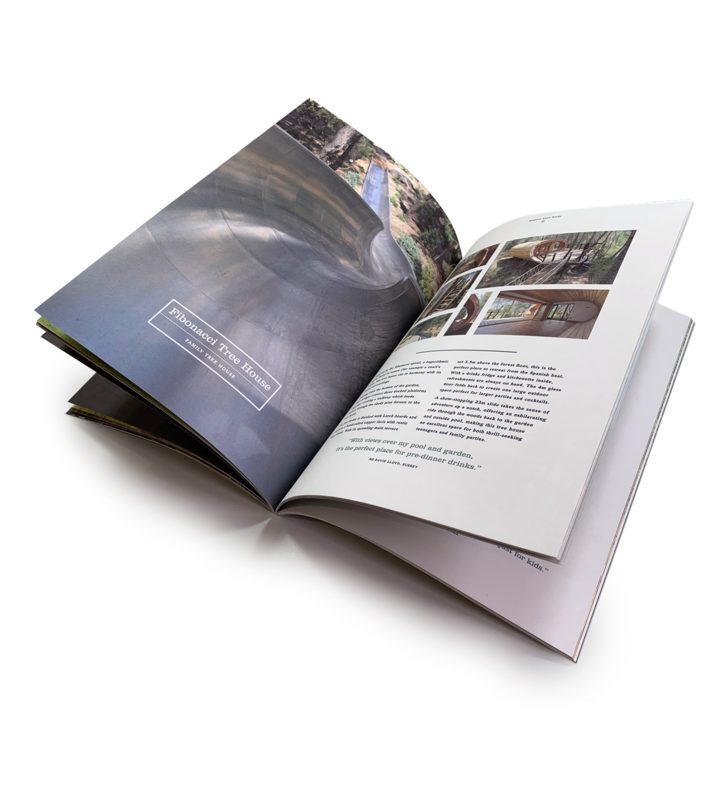 To design and deliver a coffee table brochure worthy of the high-end tree houses Blue Forest design and build all over the world. 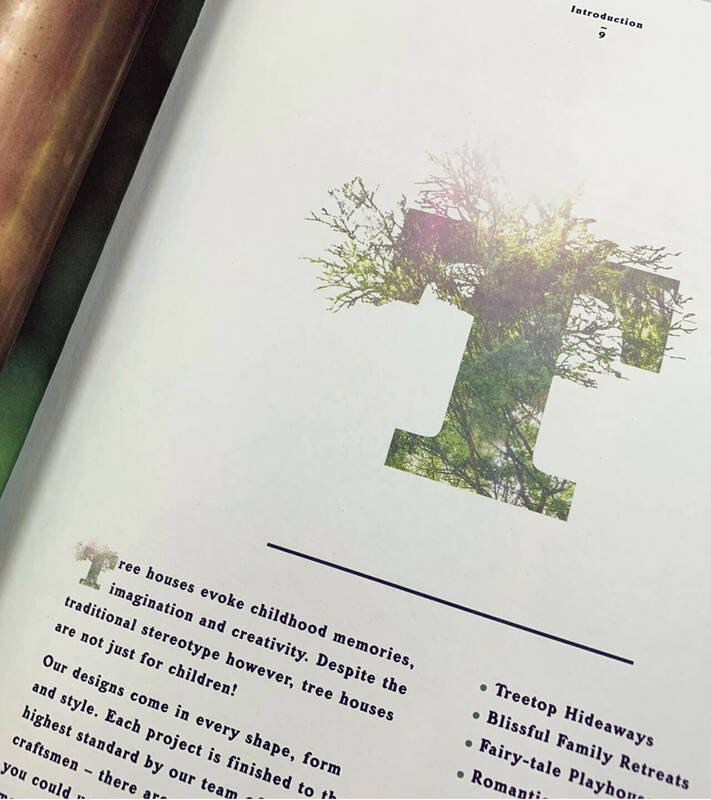 Blue Forest had commissioned some stunning photography of some of their most impressive tree houses. 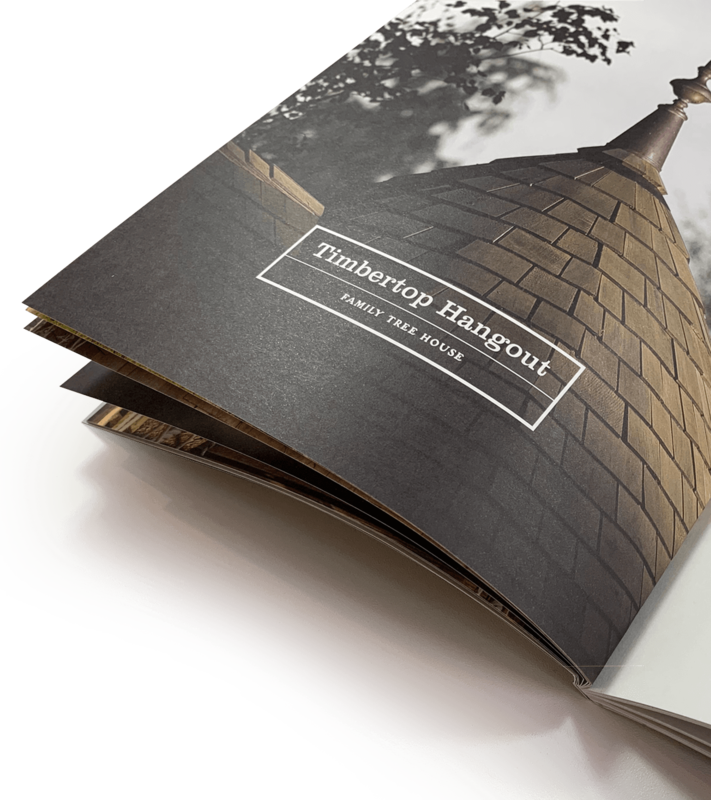 The design solution for this brochure had to use this in its full glory. Right from the start, the paper we’d be using was considered and established. 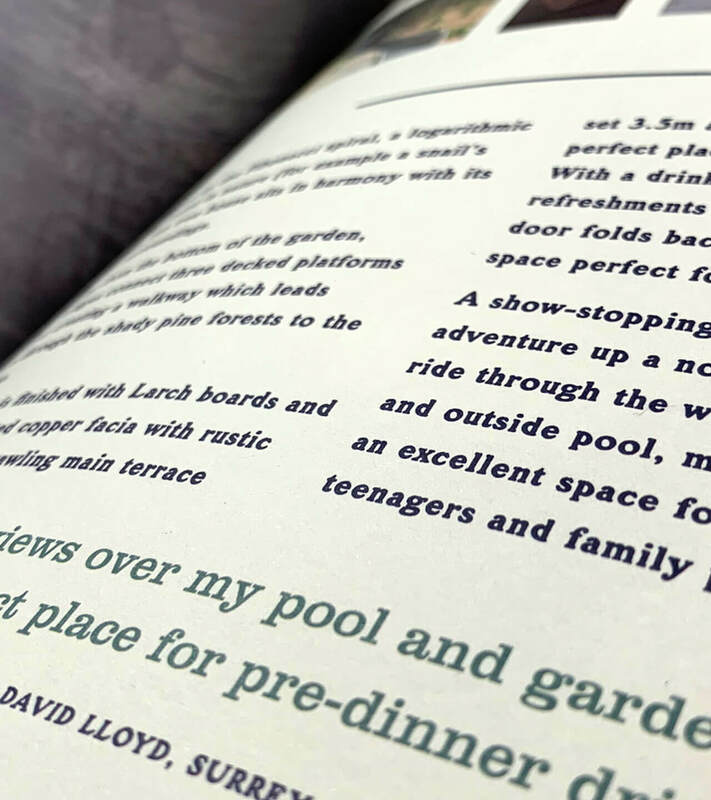 Gulp specified a heavy off-white, uncoated stock to help communicate the quality of the product. The gentle earthy tones and textures this paper brings meant that it was the only contender in our minds and we were delighted when Blue Forest could see and understood our vision here. Typography was our next consideration. 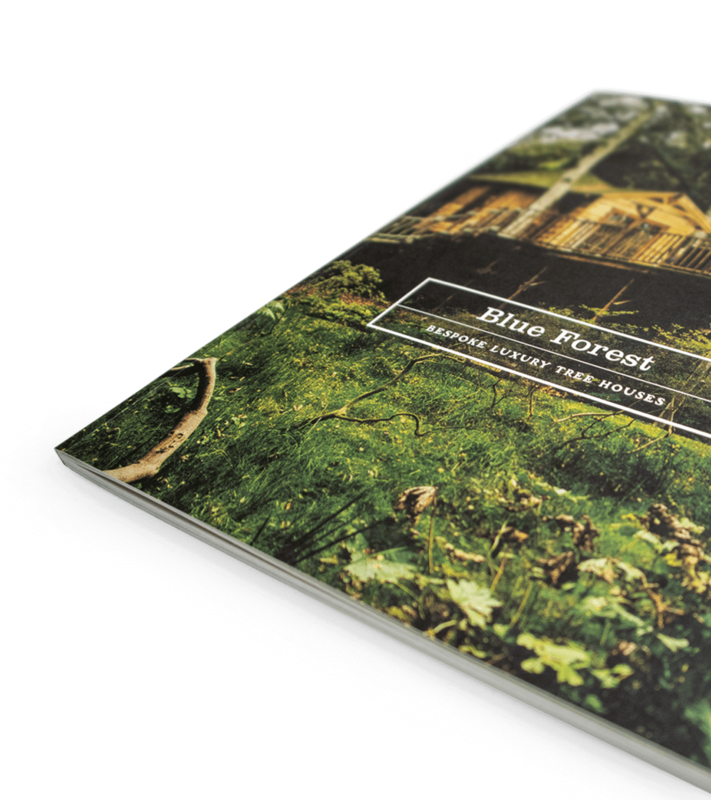 Blue Forest’s tree houses are (obviously) a very real, tangible thing. It only felt right that we should reflect this natural product with a typeface that remembers the printing process before the digital age. We chose a font with slight imperfections. One with a natural appearance. One that feels like it’s been crafted not refined. This coupled with the established bold serif font made for a confident, considered solution appropriate to the product. Celebrating the full page image. Reflective of the hand crafted processes. Bigger than A4 creating impact.